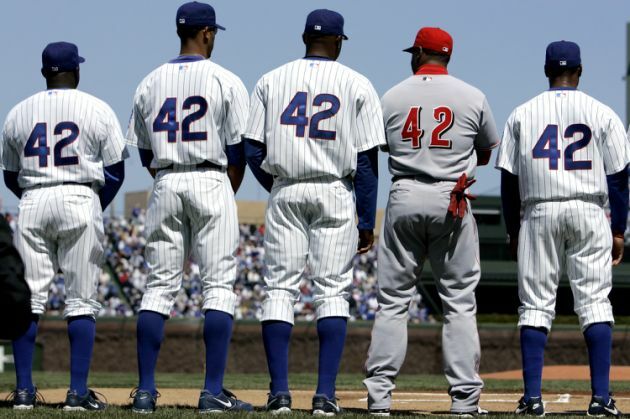 Every year about this time we are normally discussing yet another decline in the number of African American players in Major League Baseball, but on this Jackie Robinson Day there is some good news on this front. George L. Cook III African American Reports. It’s certainly not worth celebrating, but Major League Baseball has at least made back the loss of African American players that a year ago resulted in a historic low. The African-American population increased to 7.8%, up from 7.1% a year ago, on Major League Baseball’s opening-day rosters and disabled lists, according to USA TODAY Sports' annual study. It may not look like a significant increase, but it happens to be baseball’s largest growth since 2007-2008. There are 68 African Americans on rosters, six more than a year ago, when baseball had its lowest percentage of black players since 1958. Yet, despite the modest uptick, nearly one-third of all teams don’t have more than one African-American on their 25-man roster or DL. “We’re starting to see some progress,’’ MLB executive vice president Tony Reagins says, “but is there a lot of work to be done? Absolutely.